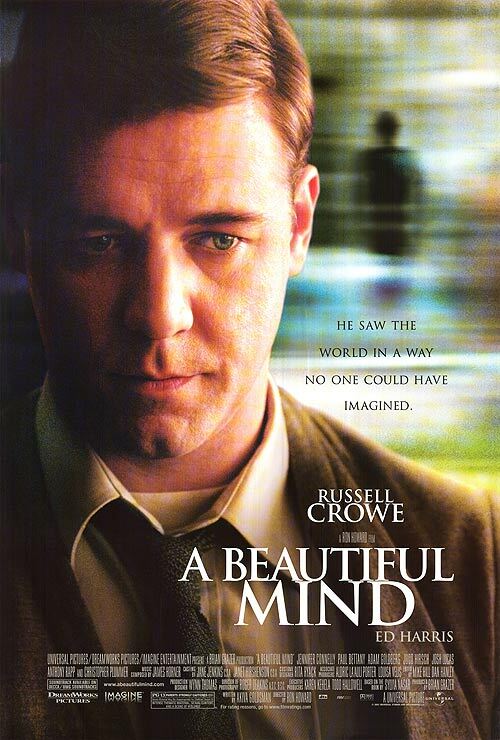 In the 2001 biopic A Beautiful Mind, Russell Crowe portrays the famed mathematician 'John Nash' from his graduate student days in Princeton in 1948 through his lifelong struggles with mental health issues to winning the Nobel Prize for Economics in 1994. 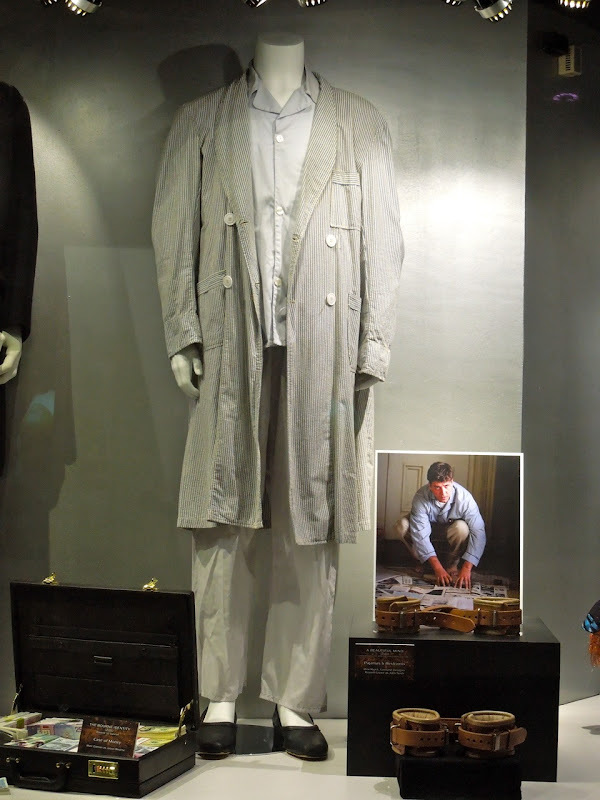 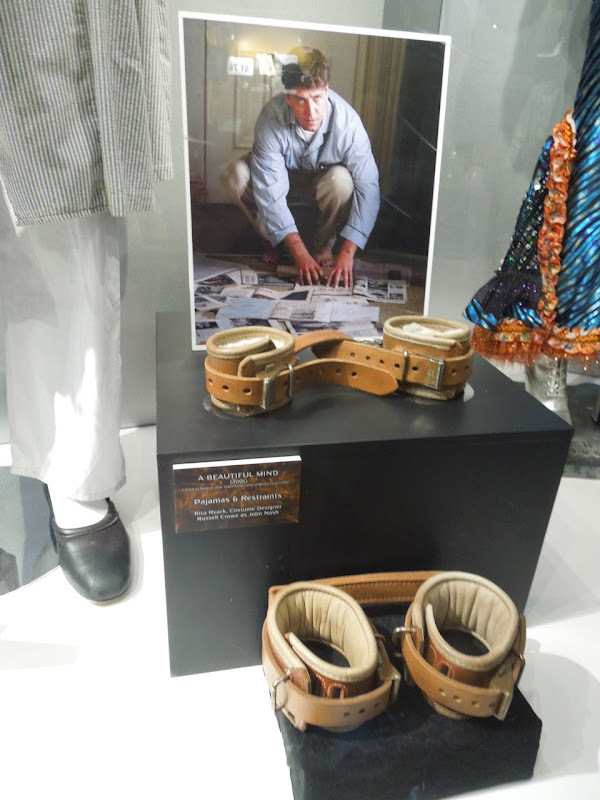 This original costume and restraint props from the film, pictured next to Matt Damon's 'Jason Bourne' costume, was photographed on display at Universal Studios Hollywood on April 26, 2012. 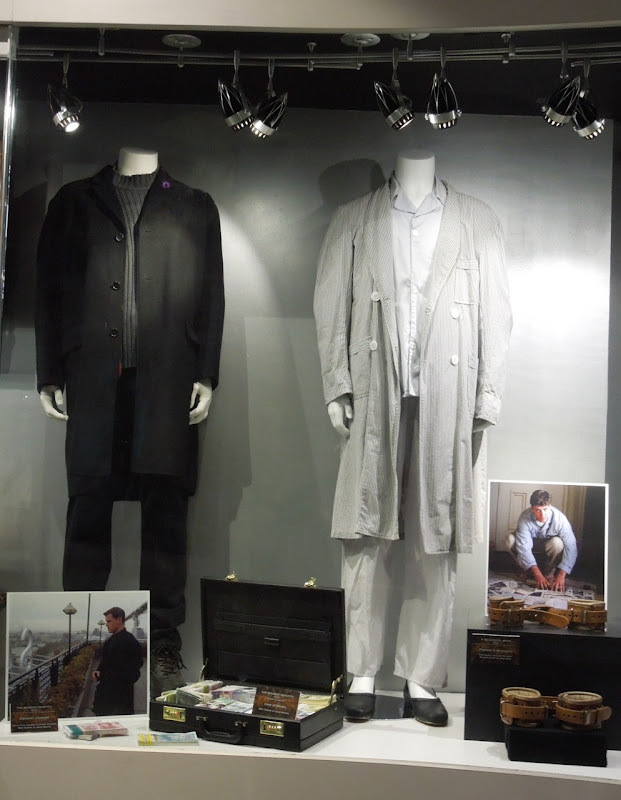 Rita Ryack is Costume Designer for this intriguing drama and you can also see her work in Apollo 13, The Grinch, Rock of Ages and many more famous movies. 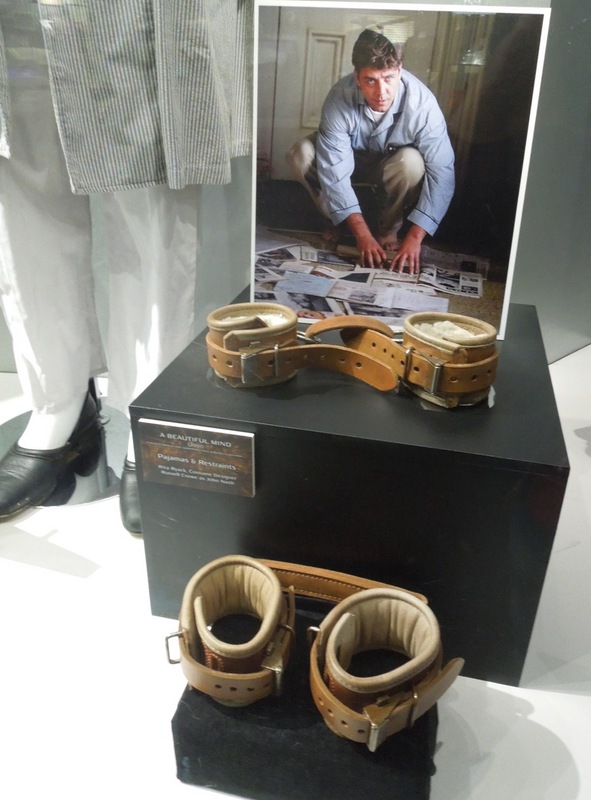 Suffering schizophrenic delusions and not able to tell what is real and imaginary John Nash is institutionalized during his life. 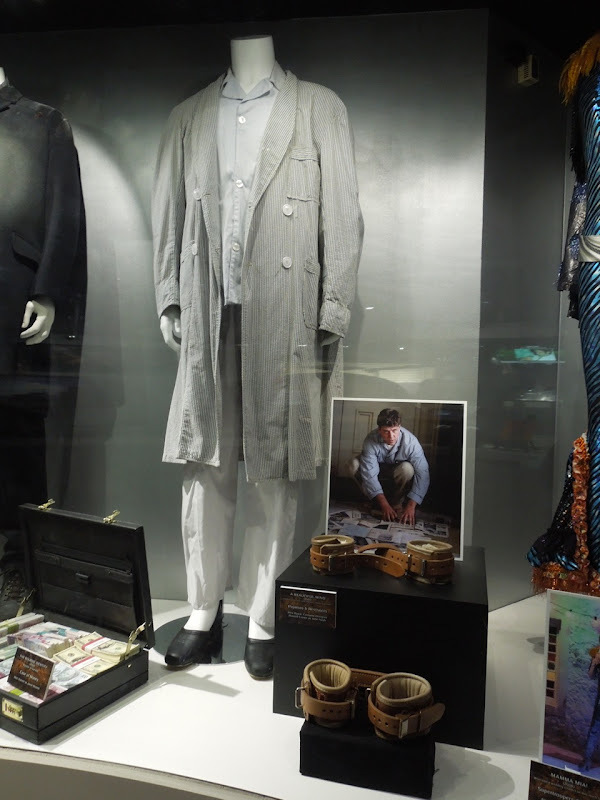 If you're a fan of Russell Crowe, you must also take a look at his Maximus Gladiator costume and his Robin Hood Crusader Knight costume on display.